Sabine R. Huebner et Christian Laes (dir. 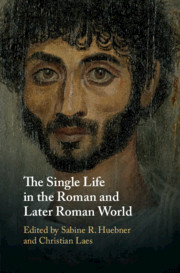 ), The Single Life in the Roman and Later Roman World, Cambridge, 2019. Using a variety of historical sources and methodological approaches, this book presents the first large-scale study of single men and women in the Roman world, from the Roman Republic to Late Antiquity and covering virtually all periods of the ancient Mediterranean. It asks how singleness was defined and for what reasons people might find themselves unmarried. While marriage was generally favoured by philosophers and legislators, with the arguments against largely confined to genres like satire and comedy, the advent of Christianity brought about a more complex range of thinking regarding its desirability. Demographic, archaeological and socio-economic perspectives are considered, and in particular the relationship of singleness to the Roman household and family structures. The volume concludes by introducing a number of comparative perspectives, drawn from the early Islamic world and from other parts of Europe down to and including the nineteenth century, in order to highlight possibilities for the Roman world. 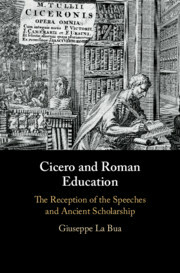 Giuseppe La Bua, Cicero and Roman Education. The Reception of the Speeches and Ancient Scholarship, Cambridge, 2019. Clark Colahan, Jagoda Marszalek et Pedro Manuel Suárez-Martínez (éd. 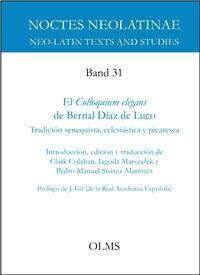 ), El Colloquium elegans de Bernal Díaz de Luco. Tradición senequista, eclesiástica y picaresca, Hildesheim, 2018. Juan Bernal Díaz de Luco es bien recordado como portavoz de la reforma moral en la España progresista de principios del XVI, crítico implacable de los males de la Iglesia en el Concilio de Trento, obispo de Calahorra, aliado de Bartolomé de las Casas en el Consejo de Indias, y autor de libros de éxito concebidos para guiar a eclesiásticos de todo rango hacia una conducta más ética. No es tan sabido, en cambio, que era un buen conocedor de la tradición satírica clásica, como evidencia este irónico diálogo menipeo casi olvidado, el Colloquium elegans, que se desarrolla a las puertas del cielo. En él participan las almas recién llegadas de dos clérigos hipócritas y un pastor de ovejas arrepentido, que se defienden de las acusaciones de un demonio que pugna por llevárselos al infierno. La obra se publicó en París solo varios años después de que lo escribiera Luco, siendo estudiante en Salamanca, y evoca los fantasmas del emperador Claudio en la Apocolocyntosis de Séneca y los del papa más notorio de la época, Julio II, en el Iulius exclusus de Erasmo; pero, además, presenta a unos personajes y unos temas que, en una mezcla de ingenio clásico y protesta ética, se plasmarán después en el Lazarillo de Tormes. 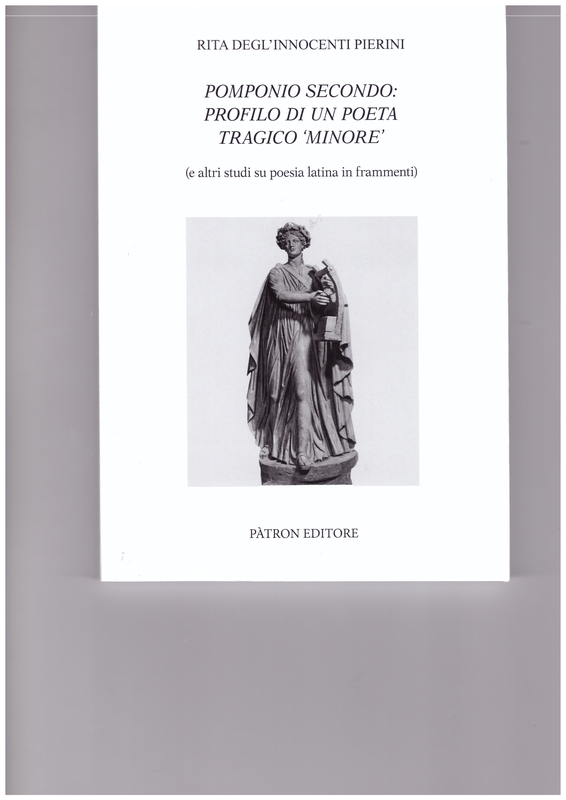 Rita Degl'Innocenti Pierini, Pomponio Secondo: profilo di un poeta tragico 'minore' (e altri studi su poesia latina in frammenti), Bologna, 2018. La prima parte del volume offre un profilo argomentato di un poeta tragico imperiale Pomponio Secondo, pressoché sconosciuto, ma che fu invece molto apprezzato da intellettuali come Quintiliano, che come tragico lo antepone a Seneca, e Plinio il vecchio, che gli dedicò una biografia in ben due libri. Oltre al profilo biografico, collegato alla temperie culturale dell'età giulio-claudia, si fornisce per la prima volta un ampio commento dei frammenti attribuiti al poeta, che testimoniano la presenza di modelli letterari del periodo augusteo, di Virgilio soprattutto, ma anche di Ovidio e nello stesso tempo rivelano notevoli affinità con la tragedia senecana: non mancano poi segnali che dimostrano come anche Pomponio Secondo potesse costituire un modello per la poesia di Stazio. Nell'ottica dell'approfondimento dello studio di testi frammentari tragici, la seconda parte del volume offre tre saggi, che indagano su aspetti importanti dell'immaginario tragico greco e latino, il tema tirannico, l'eros e le figure femminili. 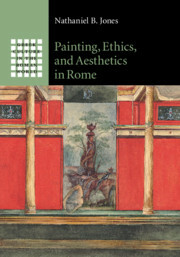 Nathaniel B. Jones, Painting, Ethics, and Aesthetics in Rome, Cambridge, 2019. In the first centuries BCE and CE, Roman wall painters frequently placed representations of works of art, especially panel paintings, within their own mural compositions. Nathaniel B. Jones argues that the depiction of panel painting within mural ensembles functioned as a meta-pictorial reflection on the practice and status of painting itself. This phenomenon provides crucial visual evidence for both the reception of Greek culture and the interconnected ethical and aesthetic values of art in the Roman world. Roman meta-pictures, this book reveals, not only navigated social debates on the production and consumption of art, but also created space on the Roman wall for new modes of expression relating to pictorial genres, the role of medium in artistic practice, and the history of painting. Richly illustrated, the volume will be important for anyone interested in the social, ethical, and aesthetic dimensions of artworks, in the ancient Mediterranean and beyond. Elizabeth Lyding Will et Kathleen Warner Slane, Cosa: The Roman and Greek Amphoras, Ann Arbor, 2019. This long-awaited volume presents the work of Elizabeth Lyding Will on the important group of transport amphoras found at Cosa. 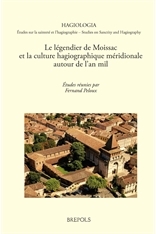 This town has been widely recognized as a prototypical colony of the later Roman Republic and a source for trade with Gaul and Spain, so this publication of its finds has important implications for archaeologists and historians of the ancient world. Will's initial work was on Latin amphora-stamps in the eastern Mediterranean, and through the 1960s and 1970s she developed an amphora typology based on materials found in the region and at Cosa. What has not been appreciated is that this typology was not limited to stamped Republican amphoras but also included unstamped vessels, such as imperial Spanish, African, and eastern amphoras dating as late as the fifth century CE. This book shows that Will was far ahead of her time in documenting the Mediterranean trade in commodities carried in amphoras: her work not only provides a record of the amphoras found on the town-site of Cosa, but also includes a comparison between the finds from the port and the town.